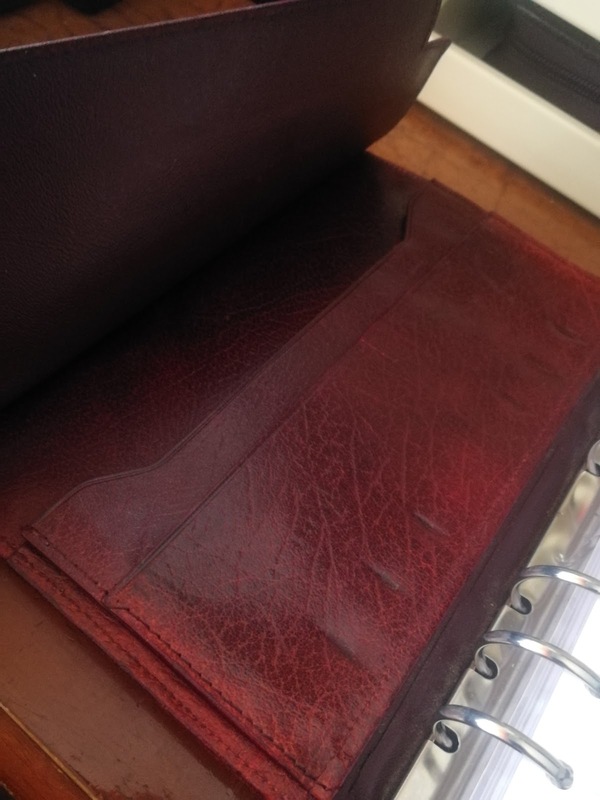 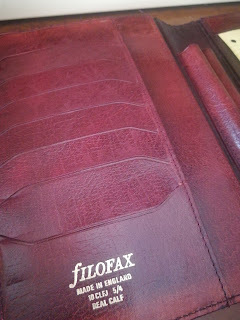 This very versatile vintage filofax, that could easily cope with modern day use. 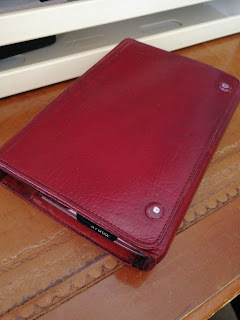 With large capacity 5/4 rings and more than one sleeve, capable of housing your smartphone. 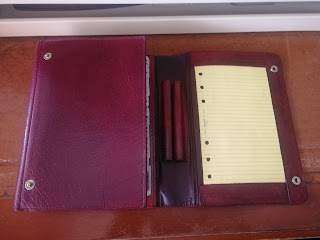 The note pad holder is very practical and the twin popper closure works better than expected, as lines up nicely when the binder is closed. A great feature is the inclusion of two full length pen loops, with the ability to hold larger pens, like the Waterman Carene (below). As you might expect these are very rare, though do appear on the odd occasion upon auction sites, sometimes commanding an outlay of £100's. 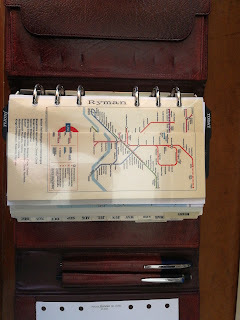 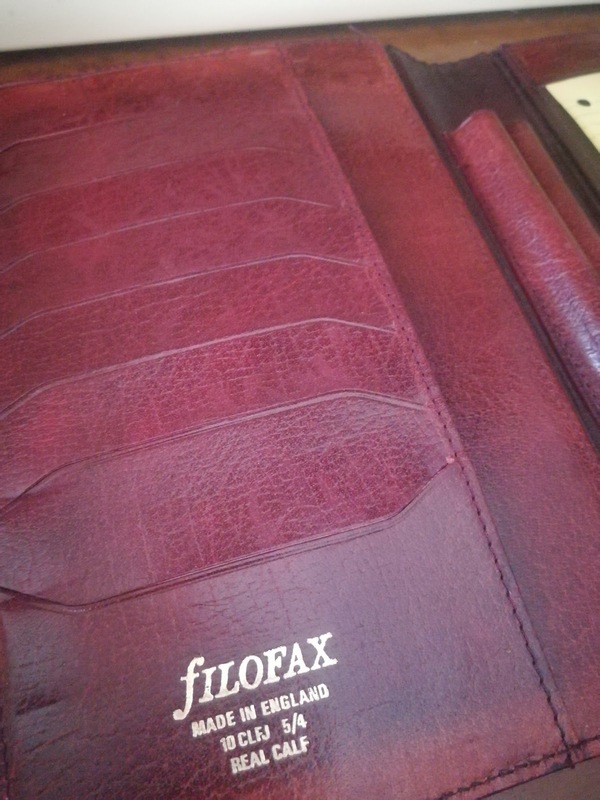 A beautiful filofax that is practically timeless and a pleasure to use.